I admit that I have been sitting on this BRILLIANT recipe for sometime now.My bad.So here I am giving you the full scoop..err slice of.. No Cook No Bake Oreo Chocolate Tart. 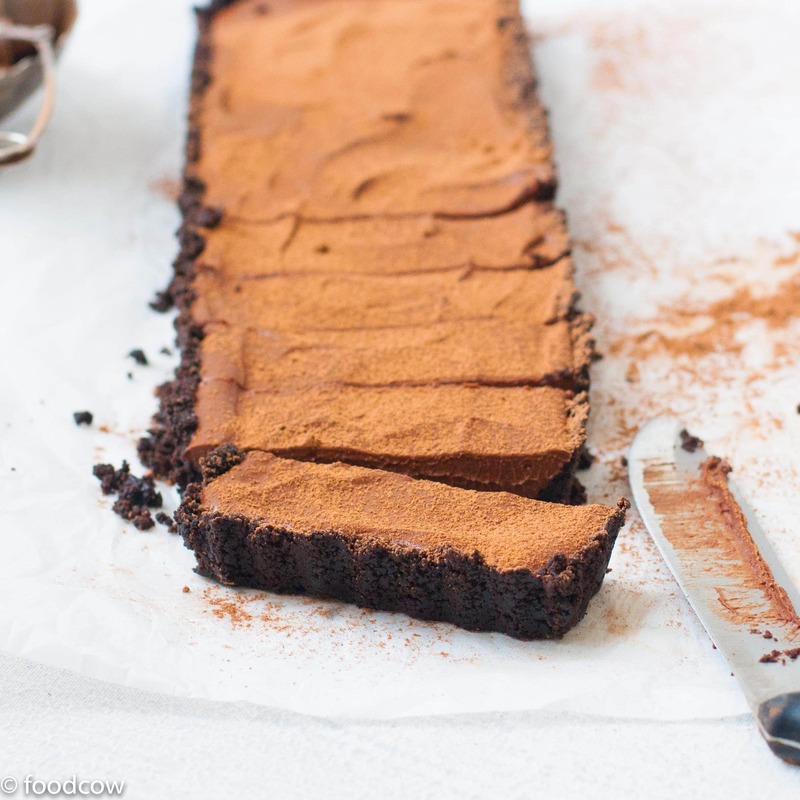 The frustrating part about this No Bake Oreo Chocolate Tart is that it’s extremely difficult to resist and even though I have made it about a zillion times, I am only posting the recipe now because almost every time the pie got over way too soon. So let’s get straight to it shall we? This chocolate tart needs only 4 ingredients – Dark Chocolate,Cream,Oreos and Butter.Yes really! and NO COOKING- if you call heating cream cooking ,then you need real help. The maths and science is pretty Genius really. Quite frankly, this is the easiest dessert dish I have ever made! No Bake Oreo Chocolate Tart - Easy Chocolate Pie made with Crushed chocolate biscuit tart shell and creamy dark chocolate ganache filling. Either pulse the Oreos toghether with melted butter in a food processor.Or crush the Oreos with the help of a Heavy object,mix in the butter till it comes toghether into a coarse paste. Press the Oreo-butter mixture into a pie pan.Use your fingers or a flat bottomed glass. Heat the cream in a pan(or microwave)- Let it come to a boil. Take the finely chopped chocolate in a large bowl.Pour the hot cream over the chocolate and let it rest for 5 minutes. Using a spatula, mix together the cream and the chocolate till all the white streaks from the cream disappear. Pour this mixture over the prepared Oreo pie base.Level it with a spoon. Refrigerate for atleast 3 hours,preferebly overnight. Other mind blowing chocolate desserts I promise will win your heart!